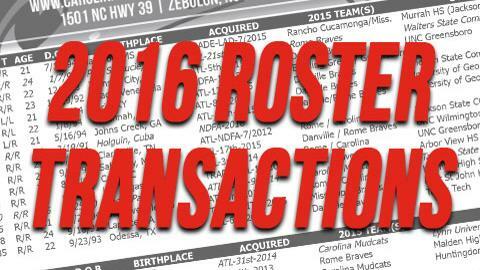 ZEBULON, NC - The Atlanta Braves announced two player transactions today with both affecting the Carolina Mudcats active roster. The moves included the transfer of LHP Michael O'Neal back to the Carolina Mudcats roster from the Danville Braves and the release of RHP Bryton Trepagnier from the Braves organization. The Mudcats roster is currently at 25 active players with four on the disabled list and one on the suspended list. The most recent roster is attached.